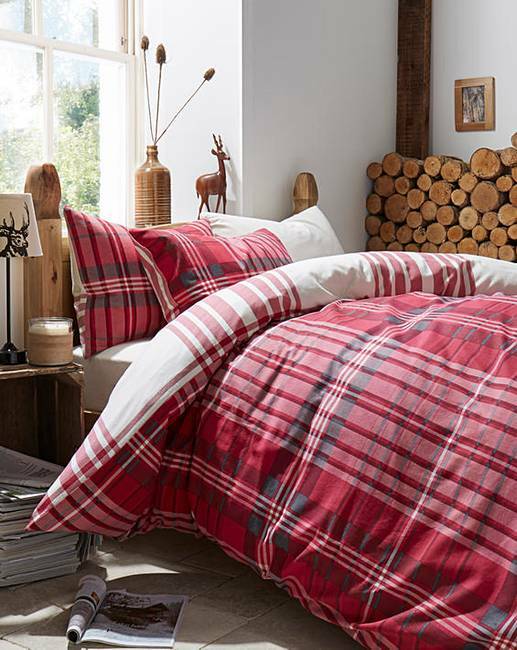 Logan Check Brushed Cotton Duvet Set is rated 4.7 out of 5 by 182. 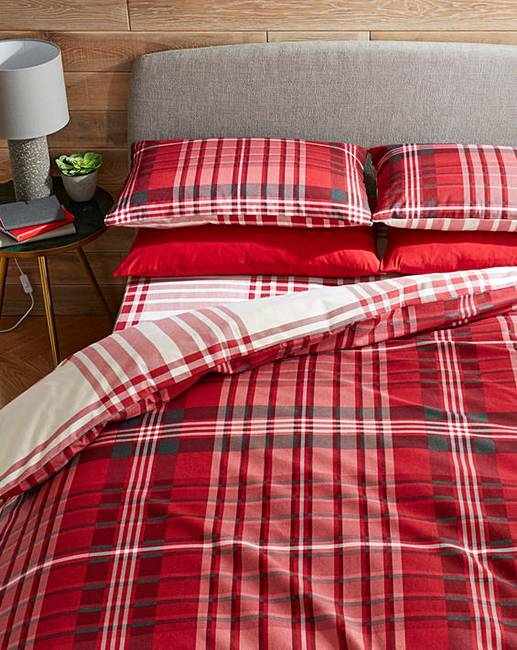 The Logan Check reversible flannelette duvet cover set is designed to keep you warm and cosy in style. 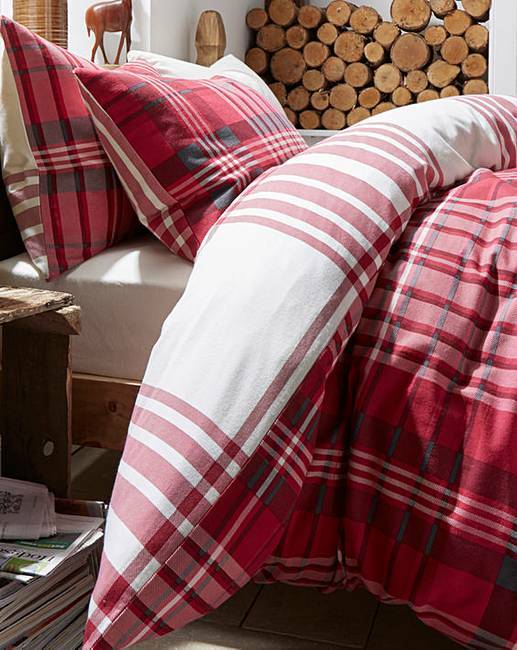 This super-soft, natural cotton flannelette duvet cover is made from spun yarn which is brushed on both sides after weaving, creating texture and holding warmth. Single: 135 x 200cm. Double: 200 x 200cm. King: 230 x 220cm. 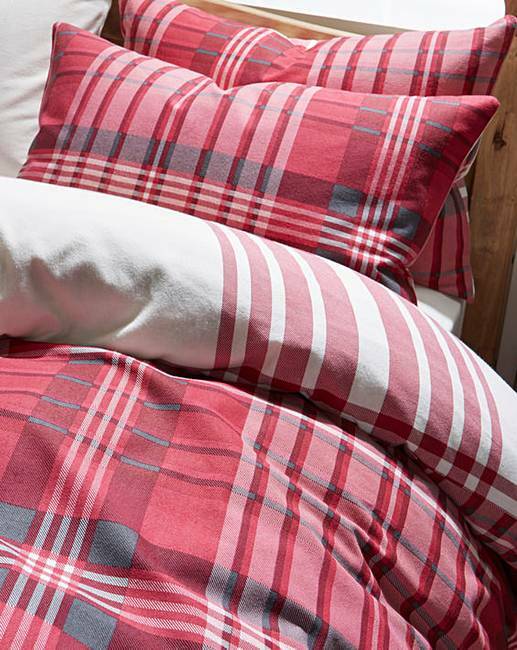 Set contains: 1 x Duvet plus 1 x Pillowcase in Single size and 2 x Pillowcases in Double and King size. 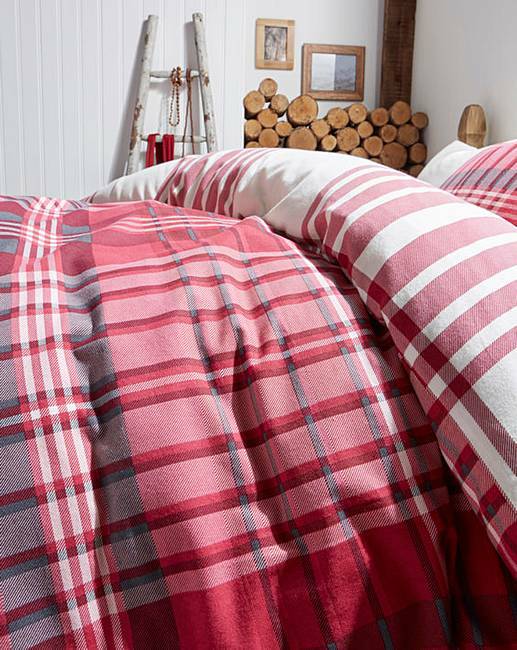 Rated 5 out of 5 by Flossy from Brilliant quality This is the best bed clothes to purchase.they are warm,soft and just real snug. Rated 5 out of 5 by Greybrain from Very comfortable Very soft, very warm and extremely comfortable. I don't want to get out of bed in the morning. 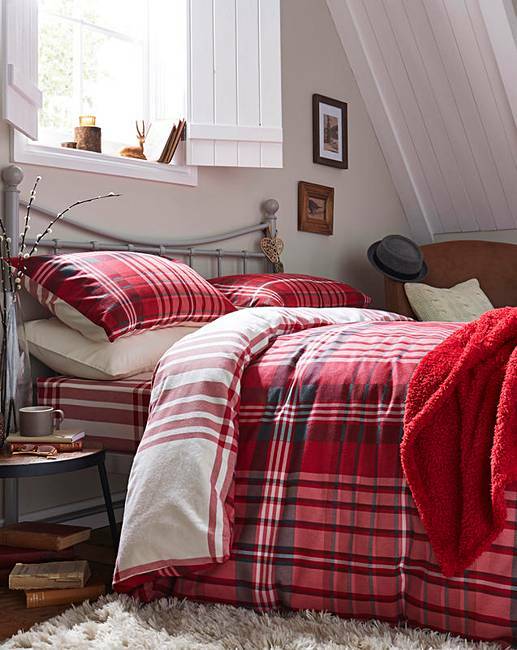 Rated 5 out of 5 by Yazziemia15 from Lovely design and very soft material A lovely warm bed set, really nice colour combination, so looks very nice on the bed and so comfortable to get into each night, feel cosy straight away. A really good buy.